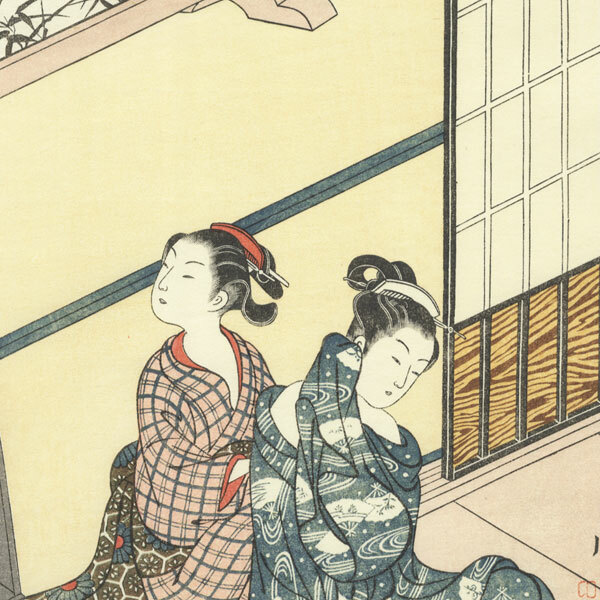 Evening Bell of the Clock - Charming scene of a young beauty sitting outside, loosely wrapped in a cotton kimono. 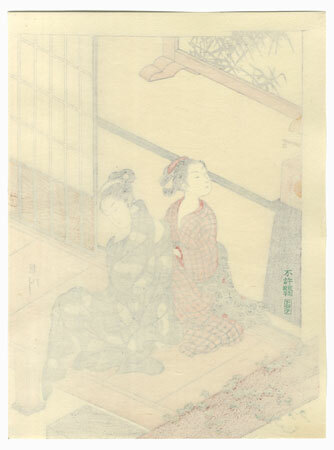 An attendant sits behind her, and a clock stands just inside the doorway. 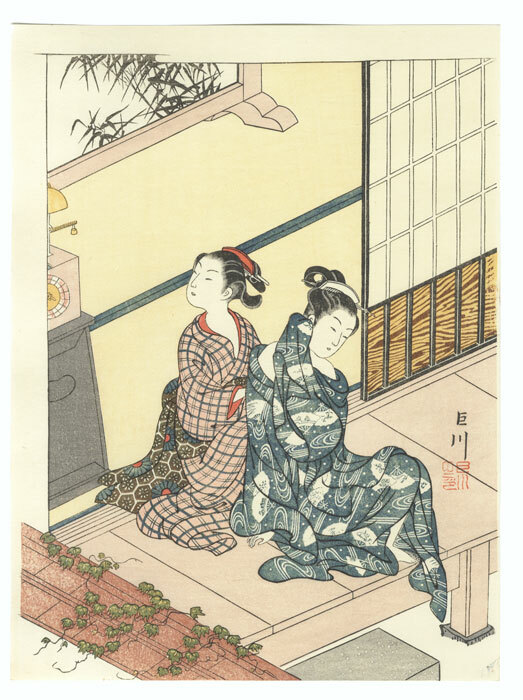 The bell of the clock is likened to the evening bell at Mii Temple in this parody of the famous "Eight Views of Omi" interpreted in scenes from everyday life. A lovely image in a soft color palette.